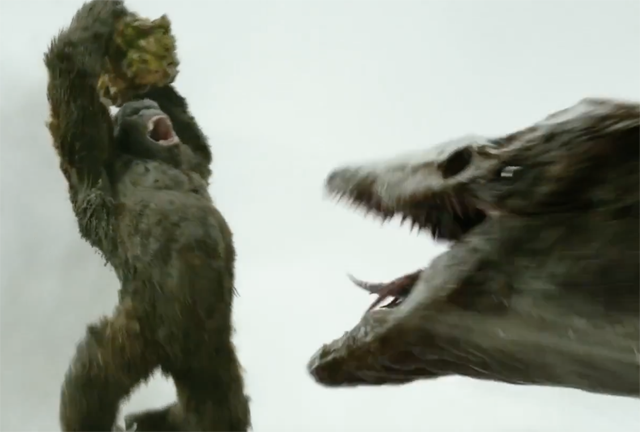 Kong fights the Skull Crawler in a new Kong: Skull Island fight clip from the Legendary Pictures and Warner Bros. Pictures release, which you can check out in the player below! The Jordan Vogt-Roberts film hits regular and IMAX theaters March 10. What do you think of the Kong: Skull Island clip? Are you planning to check out the film when it hits theaters next month? Let us know your thoughts in the comments below!